Though the days feel hot, humid and long, a mild chill at night and streaks of vibrant color through the foliage of birches and maples let us know that winter is coming, and if you've ever watched Game of Thrones, you know you don't want to be caught unprepared by that. It's getting to be your last chance to prep the vegetable garden for fall and winter crops, and if you want to make the most of your summer harvest, now's the time to preserve and store your bounty. 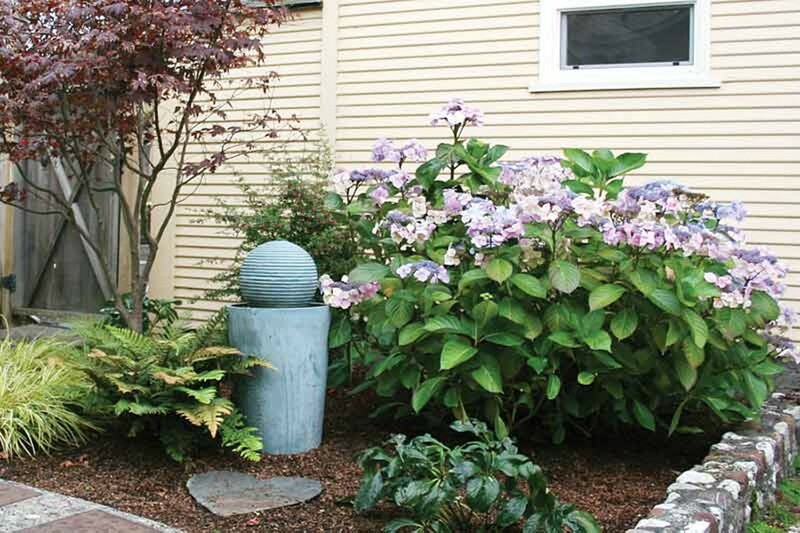 Ornamental shrubs and more can also use a little love to go gracefully into winter. Here's what to do in the garden in September. 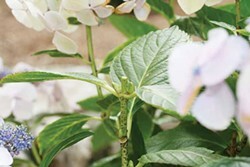 Remove spent flowers from hydrangeas and prune lightly to shape. Once the blossoms fade on common mophead and lacecap hydrangeas (Hydrangea macrophylla), take the opportunity to deadhead and lightly prune the plants. Studies have shown that hydrangeas that are deadheaded produce a larger number of blooms the following year and suffer fewer diseases. Since many older varieties of hydrangea set their flowering buds in late summer or early fall, it's a good idea to remove the finished flowers as soon as they become unattractive so that you don't inadvertently cut off next year's potential for blooms. Though you can give hydrangeas a mild prune now to improve their shape, it's best not to do any significant regenerative pruning (read: whack it really low) until after the last frost, usually in March. The penalty for early pruning is usually death, on the part of the hydrangea of course. Last chance to transplant or plant seeds of fall and winter crops. Arugula, chard, radishes, rapini, Asian greens and spinach can all still be planted in seeds or starts. 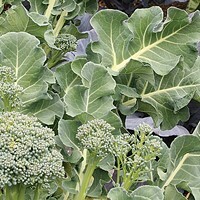 If you are a fan of cruciferous vegetables like cauliflower, cabbage, kale, Brussels sprouts and broccoli, pick up some starts at the nursery and transplant them as soon as possible to give them a chance to fill in before the cool temperatures really set in. Also, though you've been harvesting zucchini and cherry tomatoes all along, toward the end of September, start checking your winter squash to see if they are finished growing. Once the vine starts to shrivel and turn brown, take those bad boys out of the yard and store them in a cool, dark place. You'll thank yourself in December when you're enjoying butternut squash gratin, "fresh" from the garden. Harvest potatoes and eat lavishly. After potatoes flower, stop watering your potato patch and let the leaves turn brown while you gather recipes for potato chowders, frittatas and interesting mashes. Though we've had a dry season, it's a good idea to harvest your potatoes as soon as the foliage dies to prevent fungus and happy rodents from taking over your plot. Gently excavate your potatoes (I like to use a flat-bladed spade so I can control where I dig) and brush off the dirt using gloved hands, then store them in a cool dark place in open trays so they don't sprout or grow mold. Deal with yellow jackets in high-traffic areas. This has been the worst year ever for yellow jackets and other angry, ground-nesting wasps, and my intrepid landscaping crew is becoming unfazed by the all-too-regular stings. While yellow jackets are actually beneficial in the garden, acting as pollinators to vegetables and preying on a variety of insect pests, I don't think anybody would argue that they are desirable right next to the front door or under your backyard picnic table. To get rid of them naturally, there are a few options: pheromone traps, pyrethrum spray or a soapy mixture from a hose end sprayer — the soap sticks to the yellow jackets and suffocates them. Another method floating around the Internet is to place a glass cake cover over the hole in the ground with a brick on top of it to keep it in place. 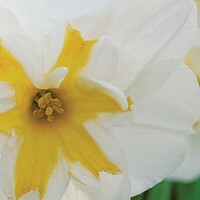 Dig up and divide early blooming perennials. We're coming up on the time to break up clusters of spring blooming perennials including peonies (Paeonia spp. 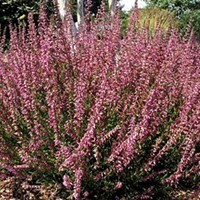 ), astilbes (Astilbe spp. ), daylilies (Hemerocallis spp.) and hostas (Hosta spp.). Though you only need to divide every three to eight years, you'll find your plants tell you when they need division, because they will flop out from the center, flower less and will have developed a wide clump at the base that is much bigger than when you planted. Choose an overcast day to divide, and start by lifting plants out of the ground with a sharp spade or shovel, then use your hori-hori to pry (or cut) the root ball into smaller chunks. Replant the biggest clump and give the rest away to friends, and you'll find yourself the return beneficiary of much horticultural goodness in the coming years. Get out your ladder, juicer and canning supplies, because it's time to harvest apples. All of that picking, peeling, canning and pie eating gets exhausting, and there's nothing I like more than a very cold cocktail at the end of a late summer day. The "apple blossom" is my usual summer standby, because you have to use up those apples somehow, right? All you do is mix a shot of Applejack with two to three shots of apple juice, squeeze in some lemon and add a splash of maple syrup, and shake it thoroughly with ice. It's one of those drinks that evolves as the night goes on; in the afternoon, there's a lot more apple and lemon, but after dinner you might prefer a heftier dose of the good stuff. Plant fall crocus for color. If you enjoy cooking and have a well-drained, sunny spot, consider adding some saffron crocuses (Crocus sativus) to your garden. While saffron is expensive at the grocery store, that's not the reason you want to grow your own. Even respected brands of saffron are often counterfeit, and impart nothing more than an insipid orange coloring to your food. By growing your own, you know you'll get the flavor you're looking for in your Indian rice. Aside from that, saffron crocus have an absolutely gorgeous purple glow with vibrant orange stamens, and are one of my favorite fall flowers. The giant bulbs of autumn crocus (Colchicum autumnale), which is not to be confused with saffron crocus as they are poisonous, are simply good for providing a splash of color when most of your other flowers have wrapped things up. Autumn crocus also tolerate light shade, making them valuable for front door container plantings which are often shaded somewhat by the overhang of the porch.